Image by Daniel Danzer, via BoardGameGeek. Recently I had the opportunity to play a game of Blockade Runner, a board game published by Numbskull Games in 2010. In Blockade Runner, 2-6 players take on the role of blockade-running merchants, building fleets of runners, carrying cargoes between Confederate and neutral ports, evading the Federal blockade, and generally scrambling to make a big profit. The winner at the end of the five year-long turns is the player with the largest combined value of shipping plus his cash-in-hand. Importantly, Blockade Runner shouldn’t really be considered a war game; although it’s set during the conflict of 1861-65, the point of the game as in real-life Civil War blockade-running is to rake in the cash. We had a full complement of six players for our game, only three of whom might be considered CW buffs. Three of us, myself included, had not played the game before. You can read a detailed description of the game here. Each player starts out with two ships and a small amount of money in 1861. Each turn, a player can perform four (or sometimes five) separate actions, which might consist of buying and loading cargo, moving one’s ships on the board, selling and unloading cargo, or using one of his action cards. Each player gets three cards, that are replaced with new ones as they’re used, that add much of the flavor to the game. There are cards that improve the defenses of a specific Confederate port, provide insurance to cover the loss of a captured runner, or put a pilot on board a runner, that increases that ship’s movement ability. Three runners ready to load in Havana. Image by Daniel Danzer, via BoardGameGeek. These four commodities are handled rather ingeniously in the game. Although players can purchase and load cargoes at a fixed price throughout the entire game, there is a limit on how much can be had in each port, especially in the Confederacy, where no port contains more than three units — the capacity of a single, large runner. Players finding themselves in a Confederate port with insufficient cotton or tobacco to load can pay extra to have it shipped from inland areas by rail, but that eats into the profits on the other end of the trip. Once arriving at the player’s destination, the cargo can usually be sold at a tidy profit, but the exact price is determined by how many units of that particular cargo have been landed previously in that turn. The price drops steadily as more and more of a given commodity is landed and floods the market. 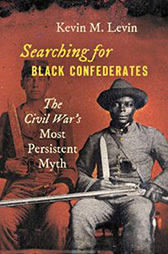 In the game we played, the sale price of cotton and tobacco dropped steadily over the course of the game, leaving black market civilian goods landed in Confederate ports as the only commodity that maintained its price. Rather ingeniously, the designers placed two restrictions on inbound cargoes, that both improve gameplay and the historicity of the game — (1) players carrying cargoes into the Confederacy must bring in as many units or war materiel as civilian goods, or pay a steep fine, and (2) war materiel is free to load in a neutral port, but the player only receives a small fee for transporting it into a Confederate port. 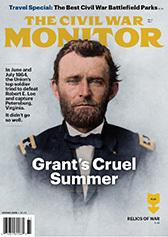 Because the United States’ blockade of the Confederacy is handled automatically, with a strong element of randomness, there can be some distinctly unhistorical events in the game. For example, during the first turn, representing 1861, the Navy put all of its blockading forces in the Gulf of Mexico, leaving the Atlantic seaboard essentially wide open for blockade running. 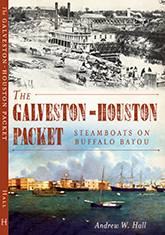 The city of Houston fell to the Yankees in (IIRC) 1862, but Galveston remained open throughout the war. Later in the game, the United States deployed its one roving roving squadron for two turns (years) in a row at Key West. While Key West was an important operational base during the conflict, in game terms it’s useless as a deployment point because the blockade runners generally will either operate in the Gulf to the west, or in the Atlantic to the east, without transiting between those two regions. New Orleans remained open to runners from Cuba through the end of the war in 1865. But the things that Blockade Runner gets wrong (or just odd) are insignificant compared to what it gets right, which is the big picture. The game is necessarily highly abstracted, but the structure and mechanics of it work very well in recreating the objectives and challenges that faced those who entered this risky venture. One of the marks of a well-designed game is that its structure gently pushes players into making the same sort of analyses that their historical counterparts did. This is exactly what happened when we played Blockade Runner; as the war dragged on the price of both cotton and tobacco dropped as players brought out increasingly large cargoes, while the price of civilian goods brought into the Confederacy remained high. This prompted players to focus solely on bringing in those cargoes, calculating that even with the hefty fine it was the only way to make a significant profit. 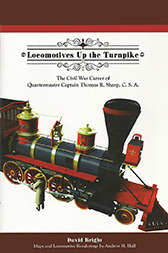 Players began running bigger risks as the game progressed inexorably to the end of the war, scrambling to squeeze out that last bit of profit before the end of the 1865 turn. The game also captures well the chance or real economic catastrophe that stalked real blockade runners. The player in our game who was the most aggressive, buying a new ship the moment he had sufficient cash in hand in the second turn, led through the whole game until the final turn, when his largest ship was captured. As I recall that single loss, ship and cargo, amounted to around $80,000. He wasn’t entirely wiped out, but he went from a commanding lead at the beginning of the turn to finishing it a distant third in the roll of a single, eight-sided die. C’est la guerre, ya’ll. Our game took about three hours, not including set-up time; it would have gone a little faster if all of us had been experienced players. There’s also a good bit of what our generous host referred to as AP — “analysis paralysis” — that causes a delay while players try and figure out their best course of action. Still, it’s great fun and gives players a good sense of how real blockade-running during the Civil War was carried out. If you ever get a chance to play, I recommend it.